Shae Foudy, 15, has lived in Dana Point all of her life and it is where she fell in love with the ocean at the age of 6. Since then, being in and around the water has become a huge part of her life. Her parents and coach introduced her to the sport of stand-up paddling and in just over two years of training, she has taken her place among the best SUP athletes in the world. Now a sophomore at Dana Hills High School and a member of the school surf team, Shae regularly competes in SUP races, locally and abroad. 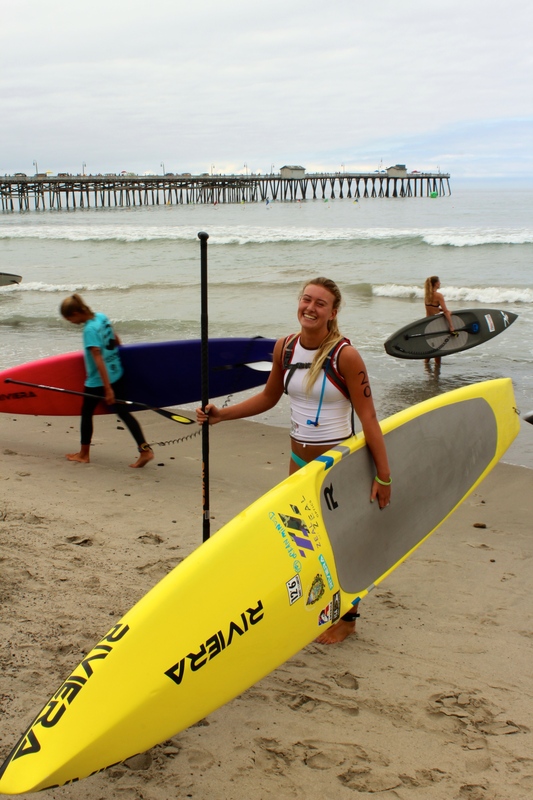 On July 20, she placed second overall in the 12’6” class juniors 10-kilometer SUP race at the San Clemente Ocean Festival. In May, along with her eight teammates, Shae traveled to Granada, Nicaragua for the ISA World Stand-up Paddle and Paddleboard Championship. The youngest member of the USA paddleboarding team, Shae was a triple medalist, taking home bronze in the women’s 18-kilometer and 3-mile races and a silver medal as part of the relay team. Shae credits her coach Mike Eisert and aunt Julie Foudy, two time U.S. Soccer Olympic gold medalist, with being the inspiration for her success. Passing a love of SUP on to others also plays an important part in her budding career. And in so doing, she hopes to inspire people, advocate the importance of living a positive and healthy lifestyle and perpetuate the idea that one can achieve anything at any age. “I have a passion for it and it is really exciting to grow with the sport,” she said.